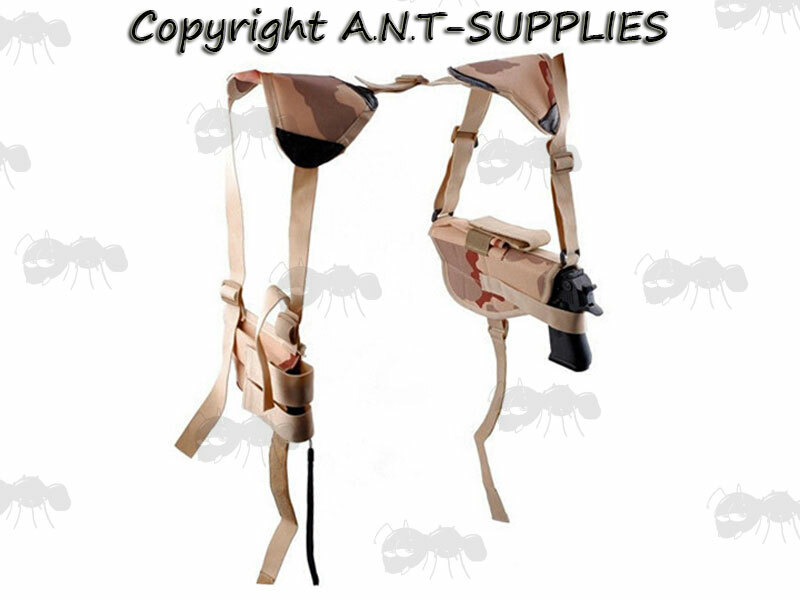 Shoulder holster with mag pouches. Padded holster with universal design for most handguns. Suitable for M1911 / M92F / M92 / M9 / Glock 17 / Glock 18 / M.E.U. Fully adjustable sliding plastic buckles, velcro pad fasteners straps. Tough 600 denier cordura nylon.